With patient care being the heart of the healthcare industry, patient engagement remains a top-priority commitment for healthcare providers and professionals. The entire healthcare sector aims to provide the best possible patient experience with easy, accessible and efficient patient support services. Having that in mind, Infinit Healthcare’s highly qualified, reliable, and motivated patient support team maintains the high level of patient support our clients provide, thus creating a caring, reliable, personal, and competent environment for their patients. 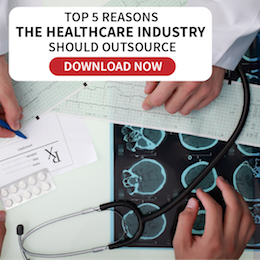 Infinit Healthcare does not only understand our clients, but also its customers. Our expertise has equipped us with in-depth knowledge and skills to handle all our clients’ patient engagements and communication. Our exceptional patient support services allow our clients to focus in giving the utmost care to their patients while still ensuring their patients’ satisfaction. Our outstanding patient support services go beyond the initial greeting. Whether through phone, email, or live web chat, Infinit Healthcare’s suite of call center services for patient care ensures that patients receive the help they need whenever they need it. Our expert patient support team is always available to provide 24/7 patient support services and ready to turn an account complaint or an information inquiry into a well-handled patient support experience. With Infinit Healthcare’s patient support services, you can look after your patients’ health while we handle their questions and inquiries. Our patient support team is consists of highly trained professionals, including pharmacists and nurses, that can ensure your patients’ satisfaction. Infinit Healthcare’s committed patient support services and integrated customer communication allow our clients to focus more fully on strategic and long-term planning and innovation. These result to improved cost-effective processes, quickened transactions, and ultimately increased revenue. Our well-trained patient support services team is skilled to deliver maximum productivity with quality results. 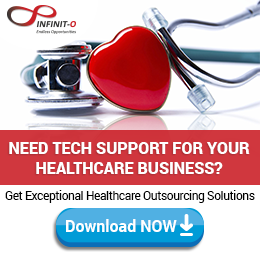 As a world-class outsourcing company, Infinit Healthcare upholds the trust and confidence our clients have given us. 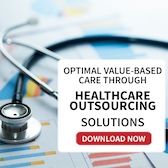 This translates to our investment in the technology infrastructure that boasts of a reliable and secure framework that helps us in providing consistent excellent quality of patient support services to our clients. Our commitment to client information confidentiality is deep-rooted with the ISO 27001:2005 (ISMS) certification of Infinit Healthcare’s security policies and procedures which were designed to protect information accessibility. Infinit Healthcare promises to be a valuable part of the organization of our clients by upholding their values to form a seamless relationship with them and their patients in offering the best healthcare experience there is. Infinit Healthcare’s Nurse Triage Services have proven to be a valuable link between healthcare providers and their patients. With our Nurse Triage Services, we provide information, education and guidance to patients in an easy and fast manner. We alleviate the fear and anxiety of patients who are in search for answers to their medical problems. Aside from aiding patients in cost saving as it lessens patients’ clinic visits and out-of-pocket expenses, our Nurse Triage Services also help physicians focus on patient care. Only registered and highly trained nurses are part of Infinit Healthcare’s Nurse Triage Services so our clients are assured that their patients are given high quality medical advice and care. At Infinit Healthcare, we are more than capable to help you and your patients.